Today's the day!!! 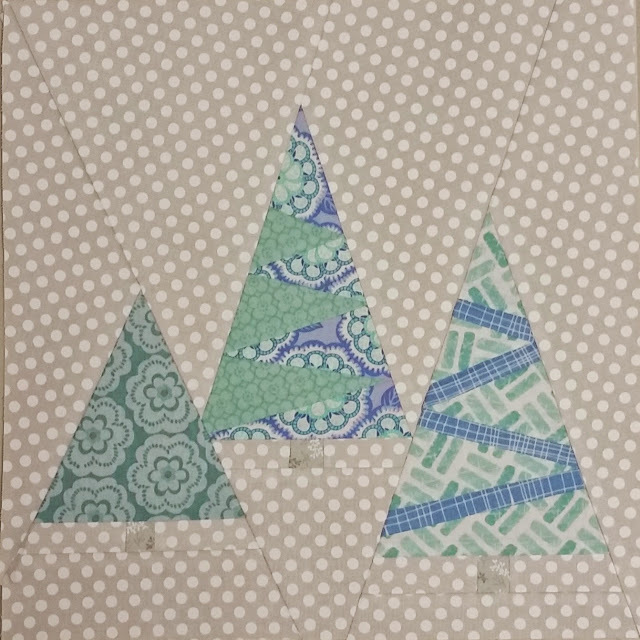 Our first linkup for the Not So Last Minute Christmas Quilt Along!! Did y'all have as much fun with this block as I did? I wish this picture could do this block justice. The background just sparkles silver. It's so pretty! :) I can't wait to see how yalls blocks have turned out. I have a stack of gorgeous batik fat quarters that will randomly be given to one of you lucky people linking up your completed block. I'll leave this open for a week and draw the winner next Saturday. 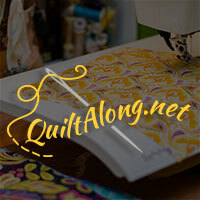 Linking up with BOM's Away at Whatahootquilts and Fabric Tuesday at Quilt Story and Cooking Up Quilts. It looks so pretty Cathy. I love the subdued look of these. They looked pretty bright, too, but these are my favorites. That block is great. It really makes me want to join in. But. I. Can't. I won't make my 2015 goals if I start too many new projects. your block is so pretty :) I wish I had gone with a quieter background.... but I have to use this winter fabric somewhere! Adorable trees. Looks like a fun project. I am working on two Christmas projects at the moment. It's nice to see that I have company. Really ,really like this block! The colors are just perfect! An excellent project! It's never too late to be making Christmas items! This block is so perfect. I love the patterns within the trees, and your fabrics are such a successful blend of subtle coloration with the perfect touch of print interest in there. I can well imagine the silver sparkles, and it must be just beautiful.